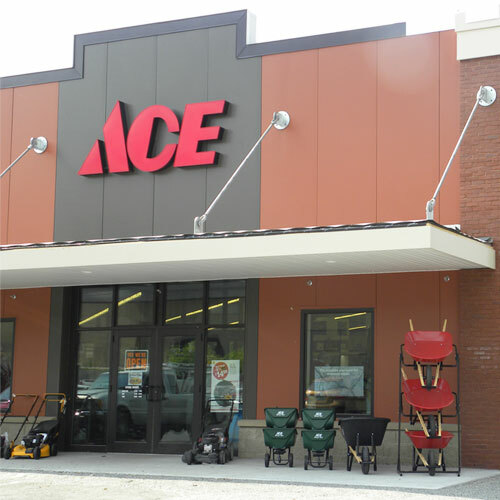 Independently owned & operated, Mukilteo Ace Hardware is proud to serve as your local hardware store. We offer a wide variety of products for the home, including hardware & fasteners, hand tools, power tools, lawn & garden care, plumbing, electrical, paint & stain, housewares, automotive, grills, seasonal decor, lawn mowers, & much more. We are proud to feature Clark+Kensington and Valspar paints & are happy to do color-matching. In addition to the home improvement products carried, we offer a variety of Ace Services including key cutting, hunting & fishing licensing, re-screening, carpet cleaner rental & re keying door locks. In the Spring and Summer, our garden center contains a wide variety of plants, flowers & herbs. We pride ourselves on excellent customer service. Our knowledgeable & friendly associates will be happy to help you with all your hardware store needs. The moment you walk in the door, you'll know why we are Ace. The Helpful Place.